It’s never too early to start mountaineering … except if there’s no snow 😀 however our statistics junkie figured out that this is the first weekend with guaranteed natural cover. Join Matt, Petey and Philipp in this endeavour to find the little pockets of mountaineering adventures in Australia. 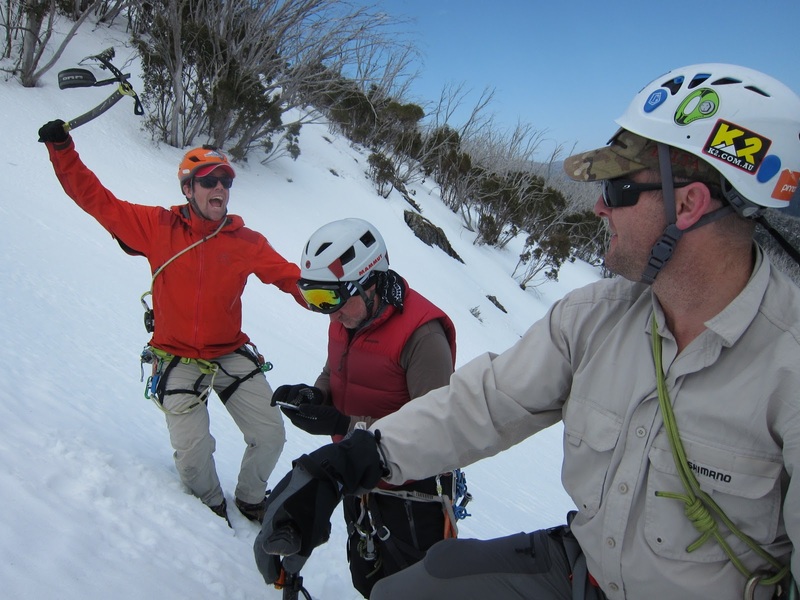 We’ll try to tackle some steep snow and ice in the beautiful Victorian backcountry. The general schedule will be the same: Camping at the base of the mountain on Friday night >> walk, climb and play on Saturday, establish camp Saturday night >> more playtime and return to Melbourne on Sunday. This trip is only suitable for advanced climbers which means you own an ice-axe or preferably ice-tools, some crampons and a climbing helmet and know how to use them. On top of that you have to be a VCC member and be known to the trip leaders. Adequate skill and fitness levels are necessary. These are firm club requirements. We kindly ask everyone who signs up to commit 100%, since places are extremely limited. Contact Philipp, the Trip Leader, to secure your place or to get more information about mountaineering in the VCC.